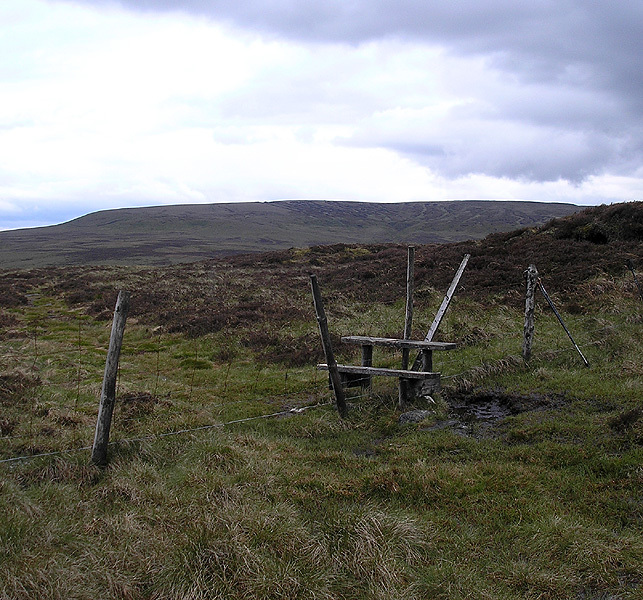 Here’s a nice little walk I did over an afternoon and a short day in Easter 2004. It could be done over one long day, but it’s a bit rough in places, and it’s good to have the chance to stay overnight in the hilltop village of Middlesmoor. Pateley Bridge and Grassington are two busy little towns with a distinct Yorkshire feel. 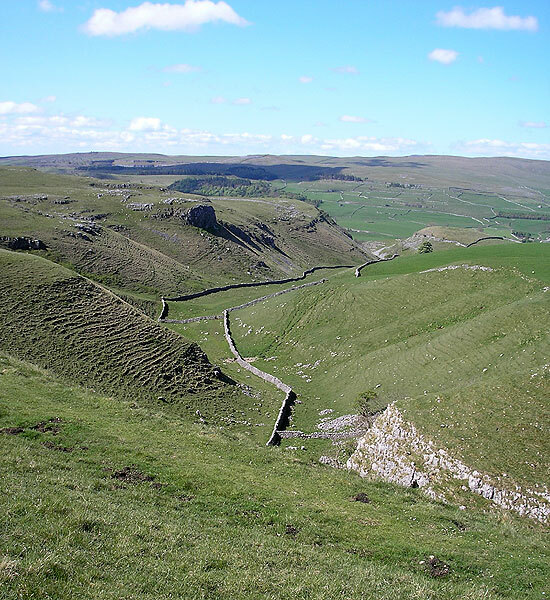 The former is outside the Dales national park, but only because the very dalesish Nidderdale was excluded from its boundaries, though it does rate as an area of outstanding natural beauty. It has a good bus service from Harrogate, where I had been attending a conference with permission to take a hike afterwards. I knew I wanted to walk from Pateley Bridge, but where to? I soon found out about the Nidderdale Way, heading on a loop up the valley to the Scar House reservoir beyond Middlesmoor before coming back south. From the reservoir higher ground reaches to the 2310ft Great Whernside, an interesting summit above Wharfedale. For a while I thought about crossing this and heading down to somewhere around Kettlewell, but that was scuppered by lack of a Bank Holiday bus service – down one of the main tourist roads in the Dales! I could, of course, have walked along the road to Grassington, where there is a decent bus service to Skipton, but that would have been a sad end to the trip. Much more interesting was a track running south-west from the head of Nidderdale, across the watershed at Sandy Gate, and picking up the Dales Way to Grassington. And what a watershed it is: gritstone to limestone, from rough peat and shooting moors to disappearing streams and ancient field systems. Five years later, I returned with Dave for a companion piece, Horton-in-Ribblesdale to Grassington. Currently, I’m at Grassington on my cross-England walk, and plan to be back there in May to walk to Kirby Stephen, partly using the Dales Way. From Pateley Bridge take the Nidderdale Way north, beside the river, to and beside the Gouthwaite reservoir. Part of the path here is on the old light railway that ran up the valley. 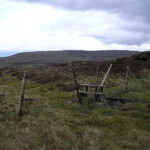 You could continue on the Way to Lofthouse before taking local paths to Middlesmoor, but instead I walked across to Ramsgill to pick up the western loop of the Way, which gains a little height (so giving good views) before heading down to How Stean Gorge. You can pay to go in the gorge if you want. From here, field paths take you up to Middlesmoor village, where I stayed at the simple Crown Hotel. (An alternative is the Yorke Arms at Ramsgill, but be warned, this is no longer a pub but a Michelin-starred ‘restaurant with rooms’ – you can’t afford it). Although it may seem natural to walk along the road by How Stean Gorge, it is a road, and there is an alternative field path through Whitbeck Farm which might be worth a try. 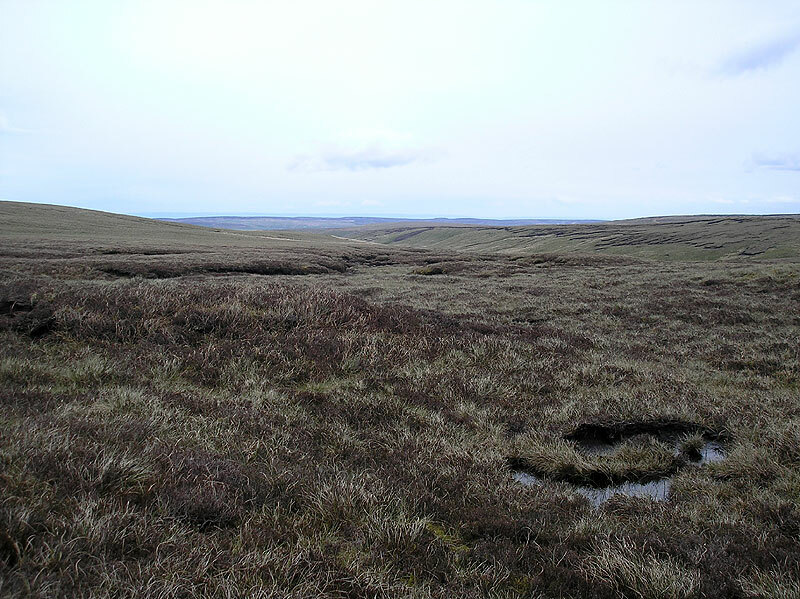 Out of Middlesmoor paths run to the farms of Low and High Riggs before striking south-west across the moors. Trackless valleys like Backstean Gill are made for right-to-roam exploration, but continue on the path (if you can find it, and I couldn’t always), heading inexorably up to Sandy Gate. It is only here you enter the national park – and join my later walk from Horton. 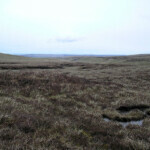 Great Whernside is at the head of the ridge running north, but descend into Mossdale. Here I came across a couple exploring the industrial archaeology of the old mine shafts, but there is a sad side to the dale too. Beneath Mossdale Scar, six young cavers lost their lives in 1967 exploring the subterranean system here, Britain’s worst caving disaster. 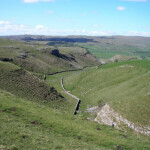 From here you cross typical limestone country to join the Dales Way at the head of Scot Gate Lane. Grassington is an hour from here; it’s a honeypot village, and will be very busy in most holiday seasons. If there is one thing I would change about this walk, it would be to avoid the Dales Way section itself. It’s a very good final three miles, but something of a motorway – you’re never far from someone. Another day it would be worth exploring a line through Bare House (005669) where the track may not be so beaten.